Our society is at a tipping point between two stages of development, from the old society to a new one. Prof Jan Rotmans, from the Dutch Research Institute for Transitions, says the last major transition we went through was the industrial revolution, and the modernisations that followed have served us well for the past few hundred years. However, now it’s time to transition to something new. Rotmans calls this Society 3.0. He believes it will be characterised by decentralisation, bottom-up change, flat organisations and networks, systems thinking, flexibility and collaboration. DME: the answer to Australia’s unquenchable appetite for diesel? As one of the world’s largest consumers of diesel per capita, Australia could soon benefit from the onshore production of a cleaner-burning alternative. Dimethyl ether (DME) is a colourless gas used as an aerosol propellant for things such as hairspray, but engine manufacturers and other companies have been exploring its potential as an alternative transport fuel. This is because DME is compatible with compression ignition engines, requiring only minor modifications. It mirrors the performance of diesel and, under the right conditions, has a much cleaner emissions profile, producing virtually no particulate matter or soot. For over 30 years the prophets of green energy have been promoting the idea that the “hydrogen age” is just around the corner. The gas is abundant in the form of water, molecules of which possess two hydrogen atoms for every oxygen atom. Making it from water using electrolysis releases only oxygen and no pollutants. It can then be burnt in any suitable boiler, cooker or vehicle and used in fuel cells. All we have to do is get it to the right place at the right time at the right price. The problem has always been the right price, which provides the market incentive for investment in the necessary infrastructure. The Federal Energy Regulatory Commission (FERC) has approved Apple’s application to sell their surplus renewable electricity at market rates in the US… With 93 per cent of Apple’s global facilities running on renewable energy, the company will soon begin to sell electricity generated from solar panels and farms, hydrogen fuel cells and biogas facilities located across the company’s facilities. Recently, I had dinner with a group of North Americans who had come to Berlin to see what they could learn from the German energy transition. A Canadian expressed his concern that “Germany has hundreds of thousands of people who cannot pay their power bills.” “The exact number is around 350,000,” I answered, “and we know this because the country’s Network Agency publishes the figure every year.” I then asked the group whether that number was high or low. For instance, how many households in Canada or the US had their power cut off for failing to pay the bills? No one knew. AUSTRALIA – The Victorian Government has released a consultation paper on the design of the auction process for developing new large-scale renewable energy projects. The auction process is a key part of meeting the state’s renewable energy targets announced in June 2016, minister for energy, environment and climate change Lily D’Ambrosio said. The targets aim to achieve 25 per cent of the state’s electricity generation from renewable sources by 2020, rising to 40 per cent of generation by 2025. UK – Nottingham has slashed it carbon emissions by a third since 2005, meeting a target the City Council set for 2020 four years early. 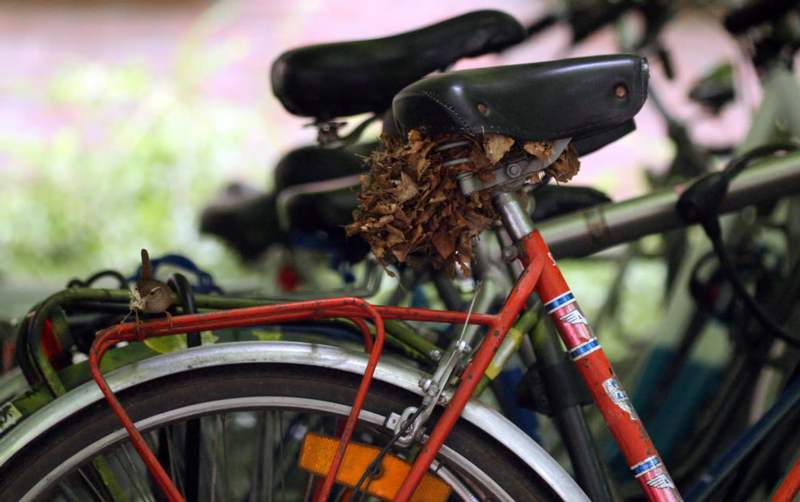 Nottingham City Council reported late last week that new central government statistics have confirmed the city’s emissions were down 33 per cent last year against the 2005 baseline, comfortably beating the target of a 26 per cent reduction by 2020 that had been set by the Council. The fight is on to save Africa’s “lost Eden”, a national park buried in Mozambique recovering from decades of civil war, documentary-maker Bob Poole says. Poole, an Emmy Award-winning filmmaker for National Geographic, has spent years documenting conservation efforts in the Gorongosa National Park. Anyone paying even cursory attention to wildlife stories in recent years would have heard all about Africa’s elephant poaching crisis. And with good reason. An estimated 30,000 animals are being killed for their ivory every year, a shockingly high figure that threatens the survival of central Africa’s forest elephants as well as some elephant populations in east Africa. 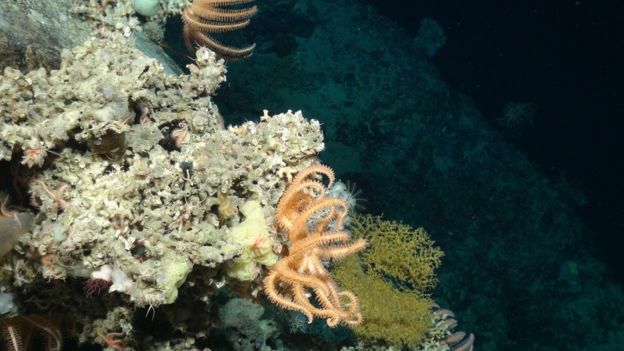 Life is thriving on the UK’s tallest underwater mountains, an expedition has revealed. Scientists used robotic submersibles to dive more than 2,000m beneath the waves to explore four seamounts off the west coast of Scotland. The footage revealed vast coral reefs, and an array of crustaceans and fish living in the cold, dark waters. The team also collected thousands of samples, and believe many species may be new to science. The global offshore oil and gas industry has installed a wide variety of infrastructure throughout our oceans, including tens of thousands of wells, thousands of platforms and many thousands of kilometres of seabed pipelines… After decommissioning and cleaning a platform, seabed structure or pipeline, its operators are faced with a choice: dismantle and remove it completely; leave it in place; or remove some of it while leaving the rest behind. Water may well be everywhere, but freshwater lake ecosystems are among some of the most vulnerable on Earth. In recent decades, freshwater species have suffered double the rate of decline of land species. And nearly 50% of fresh water lakes, rivers and streams across Europe failed to meet the EU Water Framework Directive, which aimed to achieve “good ecological status” of freshwater in Europe by 2015. Part of the problem is that current tools used to monitor the so called “health” of a lake can be costly, time consuming, inefficient, and in some cases, lethal to the organisms they are sampling. Which is why our new research is pioneering a new way of monitoring water species – using techniques more familiar to fans of crime TV shows. Oil palm production in Borneo is booming, resulting in major deforestation and putting Critically Endangered orangutans at risk. But the industry and conservationists have historically not worked well together to solve the problem. In an attempt at a solution, Orangutan Foundation International and PT SMART — Indonesia’s largest oil palm group — have joined forces to teach administrators, management and workers to value and protect orangutans. Setting the Bar High Enough, Part 3: Why Should Companies Set Science-Based Targets? Experience tells us that there isn’t always an obvious business case for doing the right thing or for moving too far ahead of your market. Taking a leadership position on sustainability issues can seem risky, particularly when your actions could add to your direct costs or put you at a short-term competitive disadvantage. There is also considerable political and market uncertainty at the moment, which means that many businesses are adopting a wait-and-see approach before making big decisions. It is therefore helpful to outline some of the reasons why rational and experienced senior leaders at large corporates, across a number of different industries, have been willing to commit to science-based targets without worrying unduly about undermining long-term company value. The aviation industry must prepare for the impacts of climate change by utilising clean technology and policy tools to significantly reduce its carbon footprint, the International Civil Aviation Organisation has claimed. In its 2016 Environmental Report, released this week, ICAO highlights the necessity of achieving carbon reductions in an expanding industry which is set to suffer increasingly from the extensive impacts of more extreme weather events exacerbated by rising global temperatures. What will drive the revolution to get climate damaging companies to change? Demonstrations do not work, facts do not work. What is the answer? Money. Visitors are running out of time to see New Zealand’s dwindling southern glaciers, which are becoming a safety hazard. The central Southern Alps has lost a quarter of its ice in recent decades, and stands to lose another 50 to 60 per cent… In recent years, the largest glaciers – including Fox, Franz Josef, and Tasman – have attracted increased tourist interest while continuing to shrink. Pure computing power used to be the competitive issue in computer chips. But now, in an age when climate change and carbon footprints are top of mind — especially among millennials who are also the most intensive computer users — there’s a new competitive issue: Energy efficient processing. Today, AMD (the former Advanced Micro Devices) unveils an energy efficiency study on its latest high performance gaming chip to prove that it is about three times more energy efficient per watt of energy used than its AMD predecessor chip. A key business driver for today’s vehicle manufacturers is to find cost-effective ways to reduce material impact, and weight, in the cars they build. Lighter vehicles result in less fuel consumption – and consequently, fewer emissions… Weight is seen is something of an enemy at Jaguar Land Rover (JLR) – over the past eight years, the British car maker has taken lightweighting to new levels with its REALCAR (REcycled ALuminium CAR) project. The government’s reckless pursuit of fracking has reached new lows with the announcement that ministers will attempt to buy off widespread community opposition to the controversial new fossil fuel source through the introduction of a £1bn Shale Wealth Fund. At a time when we need to be making the transition to a jobs-rich zero-carbon future, this would be a gross violation of the commitments made in Paris last year. Already 2016 is set to be the hottest year on record and without a global step-change we will blow the 1.5C goal within years. Nobody can buy the silence of a climate that is spinning into chaos and turmoil. Meanwhile, opposition to fracking in the UK is overwhelming, particularly in communities where wells are planned. Across Australia, climate science denialists are beside themselves with glee at the voting into office of one of their own. Late last week, the Australian Electoral Commission confirmed that Pauline Hanson’s One Nation party had snagged Queensland’s final 12th Senate spot. Her candidate, Malcolm Roberts, is now a senator… Roberts’ own brand of climate denial – a heady mix of conspiracy theories and blind spots the size of the Antarctic ice sheet – is now in the national spotlight. NEW ZEALAND – Jason Clay is senior vice president of the World Wildlife Fund in the United States. His 2010 TED Talk “How big brands can help save biodiversity” has had more than 40,000 views. He will be speaking at an SBN event on September 14. General Electric’s new corporate headquarters in Boston in the US has only 30 parking spaces for about 800 staff among a raft of sustainability achievements. The precinct, designed by Gensler architects, comprises two refurbished heritage warehouses and one new 12-storey building that incorporates a “solar veil” of photovoltaic panels. All three buildings’ roofs will be vegetated to provide spaces for relaxation and collaboration, and also to mitigate the urban heat island effect, according to a detailed statement of environmental effects submitted to the Boston Redevelopment Authority. Eq. Tower in Melbourne and Australia Towers in Sydney could be developed to net zero standard, resulting in millions in economic benefits, new research shows. But it all depends on reforming Australia’s weak building regulations, particularly NSW’s BASIX, which is underperforming other states and undermining a much-needed industry transformation. More than 60 per cent of Australians are more likely to buy food or drinks described as “natural”, despite the fact almost half of supermarket snack food products labelled as “natural” are considered to be unhealthy. In an analysis of 331 supermarket foods marked with the words “nature” or “natural”, public health group LiveLighter​ found 47 per cent did not fall into one of the five core food groups, as recommended by the Australian Guide to Healthy Eating.